The Missing Link in the History of Urology: A Call for More Efforts to Bridge the Gap (HTML) - (PDF). Lithotripsy - A Historical Review (HTML). PLease see the "Links and Contact Us" page for an online recently published extended version of this article. 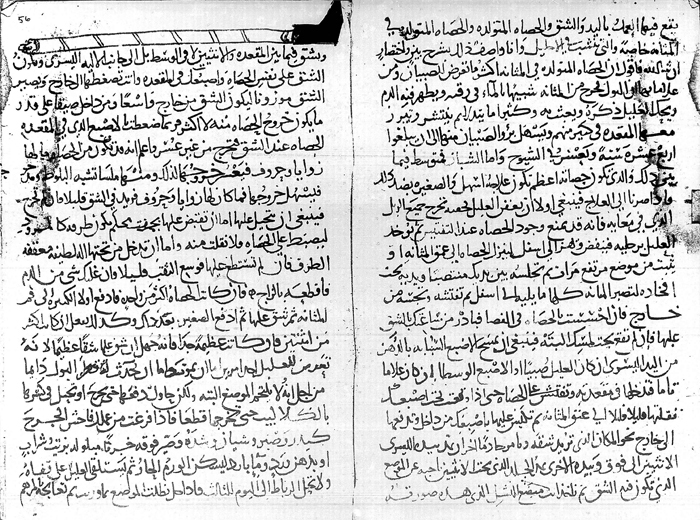 The manuscript pictures shown on this page is courtesy of the Department of Manuscripts and Islamic Libraries, Ministry of Endowment and Islamic Affairs, Kuwait. Their cooperation is very much appreciated. 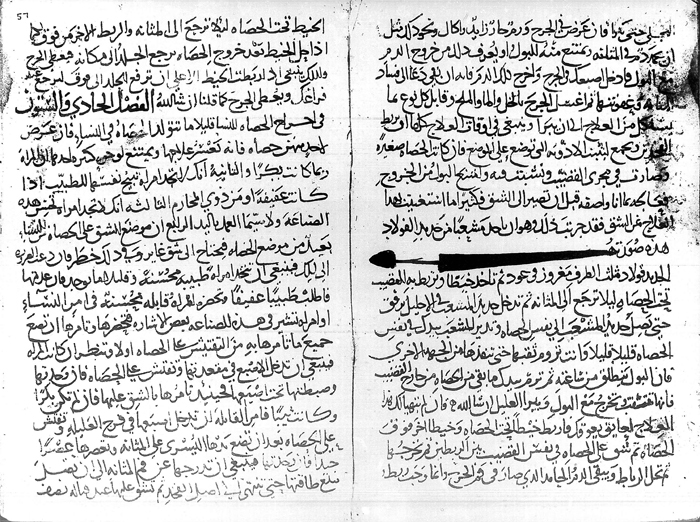 Six consecutive pages of a manuscript of Part 30, the operative surgery section of "Kitab Al-Tsrif Liman Aajaz an Al-taaleef" authored by Abul Qasim Khalaf ibn Abbas Al-Zahrawi (Albucasis, Bucasis, Zahravius, 936-1013 AD). 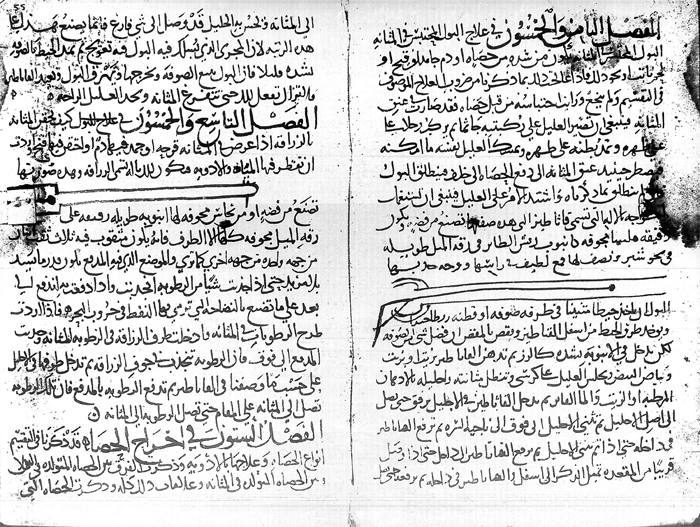 In these pages Al-Zahrawi detailed the mangagement and operative technique in cases of retention of urine, bladder stones and impacted urethral stones. This book is the first ever illustrated book on operative surgery and many of its illustrated instruments were the author's original inventions. The drawings shown in these pages are for a straight catheter, an irrigating syringe (al-Zarraqah), a lithotomy knife (Al-Mibdaa Al-Nishl) and an endo-urethral lithotrptor (Al-Michaab) consequetively from right to left.